No Meat May is coming up, so we sat down and had a chat with the initiatives founder, Ryan Alexander, to sort the sizzle from the steak. What is No Meat May all about? It's a community driven initiative to addresses four key issues with the over-consumption of meat including the environment, personal health, animal welfare and food equity for all. Changing your diet can seem like a daunting experience and many people aren't sure where to start, so No Meat May is the perfect opportunity to test it out with free vegetarian and vegan recipes, nutritional information, links to educational documentaries and professional advice from experts in the field. The big inspiration was an eye-opening talk at the Sydney Opera House by Jonathon Safron Foer about his book Eating Animals. The call to action was clear: our planet needs us to cut back on our addiction to animal protein. I walked out with a head full of new insights, inspired to eat less meat, and to share what I had learned. How did you make the change from being a meat eater to following a plant-based diet? It was an adventure of learning, trying new things, unpacking inherited thinking about the 'need' to eat meat to be healthy. I called myself a "meat minimizer" for a year, and launched No Meat May. Soon after I cut out meat altogether, read some more, did a bit of thinking and soul searching, watched a few docos and a year later arrived cheerfully in Veganville. My long-term vego partner also was a big influence in showing me how easy it is to live meat-free. It also certainly didn't hurt that he already knew a fair few awesome veggie recipes. What does an average day of meals look like for you? Colourful and varied. No two days are alike. I'm pretty high energy and into grazing – chocolate always features at least once. I kick off with a nutrient-rich bowl of cereal, with grains, nuts, fruit, ground flaxseed, and a plant based milk. I'm a big fan of green smoothies, spirulina for iron, and protein powder on a gym day. Love my plant proteins and spices, lunch is usually healthy. Vegie burgers and oven chips, or takeaway Thai, Vietnamese, or Lebanese at the end of a busy day. Pizza and a delicious, iron-rich dark beer on a quiet Netflix Friday night in is always a highlight! What did you find most challenging about giving up meat? Probably the social part. Sharing meals with family and friends was tricky at first. I guess my passion for promoting meat-free meals was pretty clear, pretty quickly. Many took on No Meat May and there has been a real shift of awareness and less-meat amongst my friends and family. Food associations were interesting too. For example, when I'd get a craving for a meat pie, I soon recognised I was craving the pastry and gravy. Then I discovered there were still delicious pies available! When I got a longing for fish cocktails at the beach, I realised it was actually more of a craving for beer-batter and salt. "Seeking and discovering new products, restaurants and recipes is underrated. 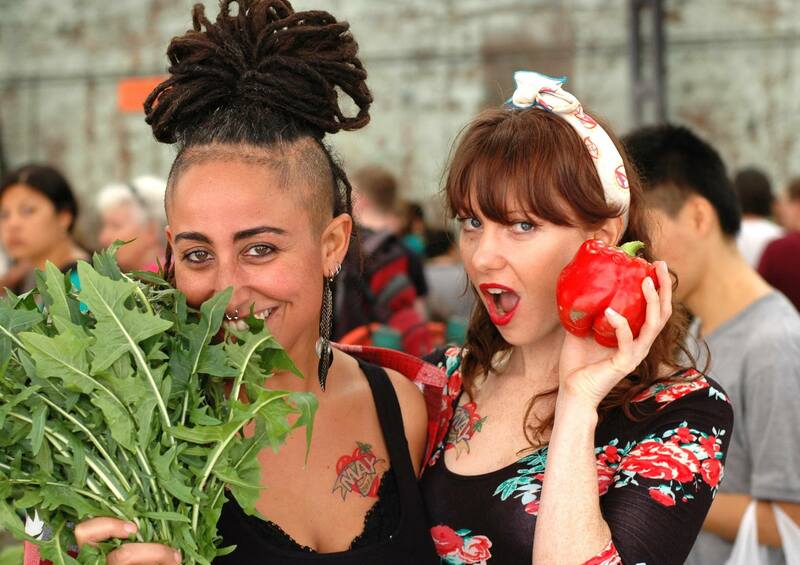 An exciting new world opens up when you change your focus.​"
What is your favourite plant-based restaurant in Sydney? Growing choice for a vego these days. I'm a big fan of Mother Chu's wholesome hot pots. Also love the flavours and creativity at the Plant Gallery in Bondi and the homely comfort of The Nourishing Quarter. Green Mushroom and Bodhi know how to plate up and impress. Not at all! I can cook up a nutritious meal for me and a couple of mates for under ten dollars easily. If you're on a budget, plant protein in a can is great to build on. Throw in some fresh veg, spices and serve with baked potatoes, brown rice or whole-wheat pasta. Once you know how, it's simple and economical. Meat production is highly subsidised by governments around the world, so "cheap" meat is what we have become used to. However, there is a massive environmental and ethical cost to producing inefficient subsidised meat, and when you look at our future, it's one we can't afford. What are your top three tips for someone new to meat-free life? Have fun with it, get creative, and don't go it alone, involve mates and family! Post your #vegelfie in May. Knowledge is power. Learn about nutrition, your health, the impact of your choices on the environment, and consider the ethics behind your decisions. Great docos out there if you're not into reading. Finally, it helps to connect with others who've already been down this road. Go online, there is an awesome growing community of vegans and vegetarians online that will happily support and inspire you. 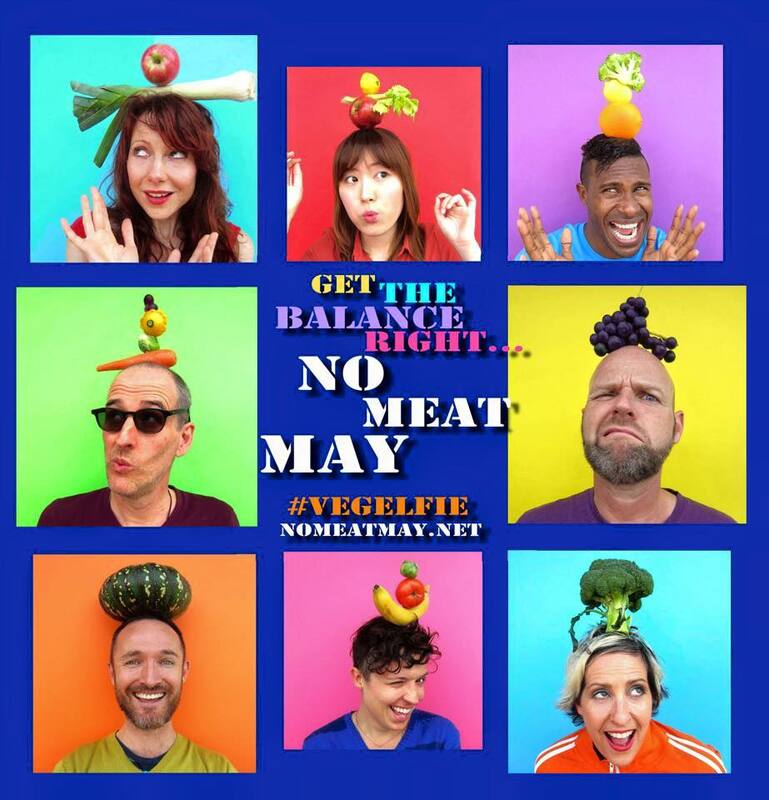 For more information and sign-up visit the No Meat May website.